How Flexible is your EMR? Wish your EMR was made for your unique workflows? Accuro gets you through your day more efficiently because it’s built for your specific needs. Forms and templates have been designed for you. Conveniently work from one screen and access key patient information like history, medications, assessments and tests. 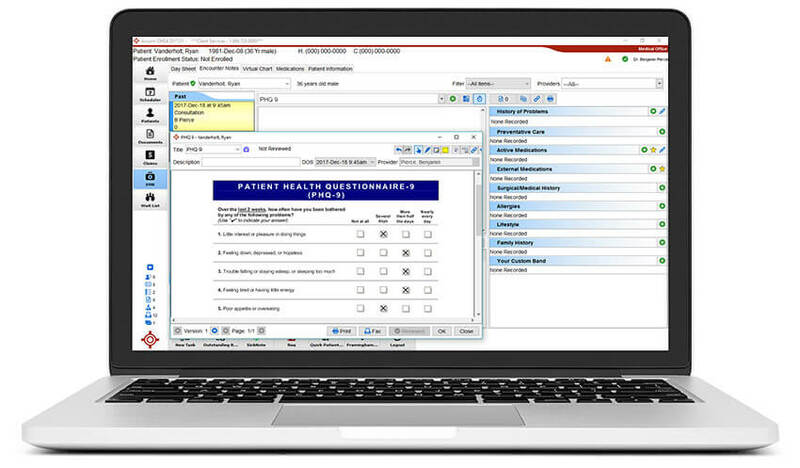 AccuroEMR is the most logical choice for those who need more flexibility from their EMR. Copyright © . All Rights Reserved. QHR Technologies is part of Loblaw Companies Ltd.